Laughlin and St. George drivers already praise the new Acura RDX, but what do the critics say? 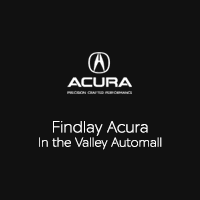 See the Acura RDX at Findlay Acura! Stop by Findlay Acura to see the new Acura RDX with your own eyes. We have a revolving stock of Acura RDX lease deals, and our expert team can help you compare the RDX to the Lexus NX and Acura MDX. Ready to learn more? Complete this simple contact form and let us know your interest in the RDX. We’ll answer your questions and schedule a test drive today!